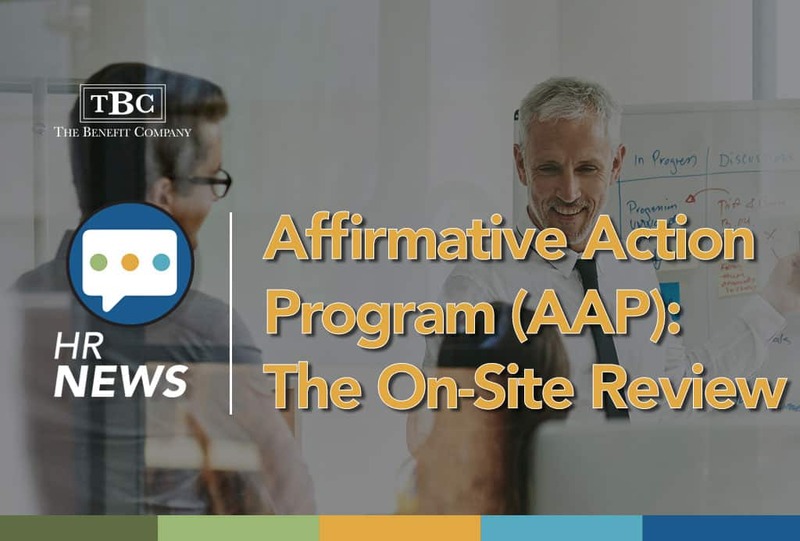 Last month, I outlined the 3-stage process (desk audit, on-site review, and off-site analysis) the Office of Federal Contract Compliance Programs (OFCCP) goes through to perform a review of your AAP. I included the itemized list of documents you are required to send them, so that they can perform their desk audit. This month, I am offering a taste of what to expect during the on-site review, based on my personal experience over the years. Your OFCCP auditor has reviewed all the documents you sent him or her, and performed lots of calculations……..and, noted lots of questions to ask you during your on-site review! The first stop at your location on the auditor’s itinerary will be an opening conference between the auditor, you and the top manager at your location. The purpose is to make introductions, and set expectations for what will happen over the next one, two, three or more days. The anticipated time frame may be based on what the auditor saw (or didn’t see) in the documents he or she has reviewed and the nature of the questions you will be asked to answer. Typically, the next step will be to provide the auditor with a tour of your facility. It is helpful for them to get a feel for the type of work your company does and the type of employees who do the work. While touring, they will also be looking to make sure you have the required state and federal posters in places conspicuous to employees and applicants. After the tour, you will want to have set aside an office or a conference room for the auditor to be able to work uninterrupted. Be sure to make them feel welcome, and show them where the rest rooms, vending and coffee machines are. Make sure that there is a way for the auditor to pay for any food or drink he or she consumes in your facility. The auditor will identify a sampling of exempt and non-exempt employees to interview. Make every effort to make these employees available to do so. There will be a focus on compensation and hiring practices. Make sure you are very familiar with the information you sent the OFCCP, and that you have reviewed it for potential ‘red flags’ the auditor will likely have also seen. Try hard to have reasons why one employee’s base pay is significantly different than another employee in the same job title, especially if one is a minority and one is white, or one is a male and one is female. Perhaps the difference is due to education, seniority, or prior work experience? Be prepared to explain! Make sure you are familiar with the numbers you used to calculate availability of qualified minorities and females in various job groups, and your rationale for using those numbers rather than other numbers. If your employment attorney pulled the numbers and did the calculations for you, make sure they are in the loop with this on-site review. If you have job descriptions (although not a legal requirement), be sure they are current. Outdated job descriptions can be problematic in this on-site review if they do not readily distinguish the minimum qualifications for each job. You do not want the auditor to aggregate applicant pools for different jobs they view as being similar, but which you view as being different and have assigned different pay levels. Also, make sure all qualifications noted in the job descriptions are job-related. Be sure your I-9 files are current. The OFCCP has authority to audit those too while they are visiting you. Finally, be respectful, courteous, and helpful to the auditor. Ask questions if you don’t understand where they are coming from with a question or a comment, but do not be argumentative. Although the visit will be stressful for you, it doesn’t have to be totally unpleasant. View the visit as a learning opportunity if you have never been through an on-site review before, or if this is the first AAP you have been responsible for creating. There will be a closing conference, wherein the auditor will advise you and your site manager of next steps and perhaps give some hints as to what the auditor learned in the visit. And of course, if you have questions or concerns about anything in this process, contact your employment attorney before, during and/or after the on-site review! The goal of this monthly e-newsletter is to briefly bring you current news in the HR world that could impact your company and how you interact with your employees, and also to share some tips and lessons learned for keeping your company compliant with the myriad of federal and state employment-related rules and regulations. This newsletter is not intended to provide legal guidance to you. You must consult a professional before making any decisions related to the topics and ideas covered in this article.